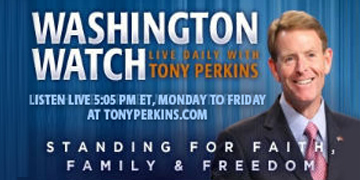 On Tuesday's edition of "Washington Watch with Tony Perkins" FRC's Assistant to the President, Craig James guest hosts for Tony. Over 31,000 have signed the petition standing with Atlanta Fire Chief, Kelvin Cochran who was fired for his Christian faith. Tony spoke earlier today at the Standing for Our Faith Rally held in the Georgia Capitol Rotunda in support of Chief Cochran. Tony will join Craig with the latest on the situation and highlight how we can all get involved. Also, Texas Values President, Jonathan Saenz is here to discuss the marriage cases before the 5th circuit court of appeals and give his analysis. Watch video of Tony's speech in Atlanta today. Show your support for Fire Chief Kelvin Cochran by signing our petition!